These are high quality economically priced relay’s that meet the requirements of the ROHS directive. The change from Silver Cadmium Oxide to Silver Nickel Tin Oxide provides enhanced contact life DC breaking. The relays have many international approvals including LLOYD’S for maritime use. 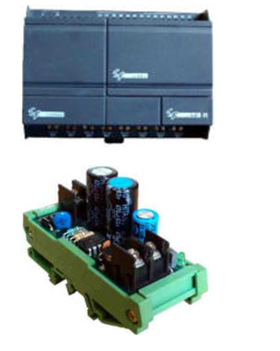 The P24AC1 is a rail mount switch-mode regulator for use on small 24Vdc systems. The regulator accepts an AC or DC voltage input and supplies a current limited, regulated 24Vdc at a nominal 500mA. The regulator has an LED output indicator to indicate the presence of an output voltage. The complete unit is a open - frame design in a rail mountable boat.